Last weekend, options for chamber music unfolded generously across six days. This weekend, all the choices occur on Sunday, March 13. There are four concerts to choose from. Select your preferences and accept regret there may not be enough time in the day to fit everything in. 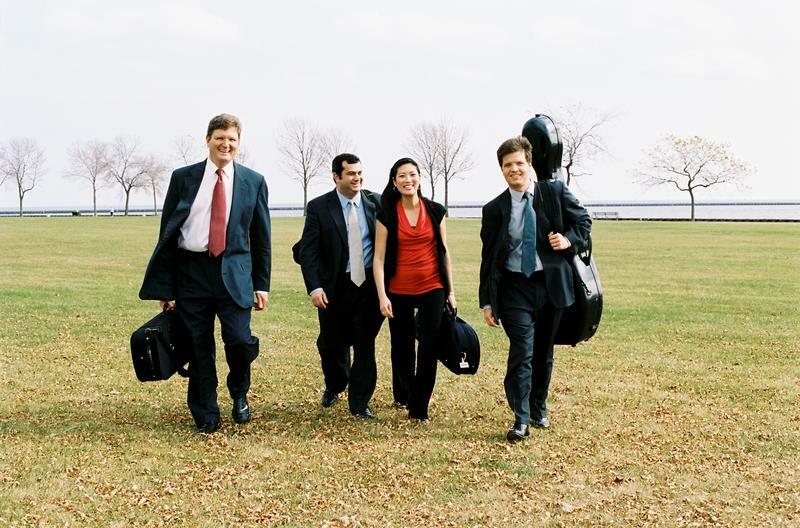 As the Philomusica Quartet establishes a Wisconsin Lutheran College residency after years of performing at the Wisconsin Conservatory of Music on the East Side, they will be performing a free one-hour concert to introduce themselves to new West side neighbors. The Quartet (violinists Jeanyi Kim & Alexander Mandl, violist Nathan Hackett, and cellist Adrien Zitoun) will participate in the First Congregational Church 4 O’clock Concert series performing two very approachable string quartets. Ludwig van Beethoven wrote the String Quartet Op. 18 No. 2 in G major (1801) as he had established his signature style, but before exploring even more advanced structures. The quartet borrows its basic form from conventions established by Joseph Haydn. Mandl finds the quartet “delightful with bright sunny elegance.” The choice is also appropriate because the Op. 18 Quartet is quoted in Beethoven’s Opus 131, which will highlight the Philomusica’s next concert as the final performance in as an ambitious several-year Beethoven quartet cycle. Details: The Sunday concert begins at 4:00 p.m. at First Congregational Church, 1511 Church Street, Wauwatosa. The 4 O’clock Concert series at the church occurs monthly. Concerts are free. The concert “Duets to Warm the Heart”, will present music of Tartini, Mendelssohn, Sarasate, Amanda Röntgen-Maier, and more. Almond fans will recognize that choice of composers as a part of the story Almond has been telling as he shares the history of his famous violin and works connected to it. Almond’s dedication to those stories began before the violin became famous for its theft and then recovery. Almond will be releasing a second CD featuring his Lipinski Stradivarius violin, A Violin’s Life , Vol 2 this May. I find the most valuable result of Almond’s research to be his rediscovery of a violin sonata by Maier-Röntgen. 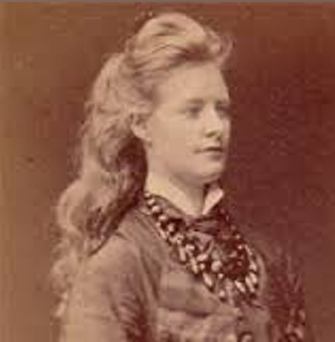 She was the daughter-in-law of one of the owners of the Lipinski violin in the late 19th century. The work is tightly structured, very melodic and full of energy. Hear an excerpt of the work here. Details: Almond and Armstrong will perform in St. Joseph’s Hall at 1501 S. Layton Blvd at 2:00 p.m. on Sunday. The Hall, adjacent to the better known Chapel, is also accessed on the second floor of the complex. Tickets (at $20) can be reserved at 414 385 5272 or at the door. The parking lot is just South of the building. 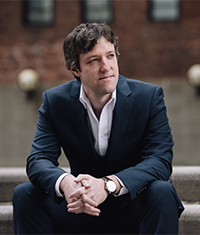 RUACH, a local organization devoted to music within the Jewish tradition, will host Yaniv Dinur, the new Milwaukee Symphony Orchestra assistant conductor, at the Jewish Home on Prospect Avenue. Dinur will speak about his experiences in Israel and America. He will also perform Israeli and American music – and some Chopin – on the piano. Those who have heard Dinur speak know that, like his predecessor, former Associate Conductor Francesco Lecce-Chong, Dinur is an articulate, enthusiastic supporter of classical music and makes as fine spokesman/educator for the MSO. Details: Dinur will appear at 2:00 p.m. Sunday as part of the Rubin Sharpe Tribute Series at the Rubenstein Pavilion in the Jewish Home and Care Center at 1414 N. Prospect Avenue. The concert is free. Free parking is available under the building. The MacDowell Club will feature a number of local pianists in works for two pianos in a “Dynamic Duos” concert. The program includes Maurice Ravel‘s Ma mer l’Oye (Mother Goose Suite), written for two pianos before Ravel created the more often heard orchestra version. The other works, by Astor Piazzolla, Alexander Borodin, Muzio Clementi and J. S. Bach are adaptations of popular works. Details: The concert will be held Sunday at 3:00 p.m. in the Recital Hall of the Peck School of the Arts on the UW-Milwaukee campus at 2400 E. Kenwood Blvd. The concert is free, but donations to the MacDowell Club’s scholarship fund for young musicians are encouraged. Free parking is available in the Union Parking Ramp on Sundays. Thanks for the article, Michael Brandt – and of course all of these are happening on the same day, Sunday, for which I have tickets to see the Florentine Opera’s Three Decembers!